Openers include Aaron Lessard, a solo artist based in Nashville, known for having a heavy jazz influence and U.S. Marine Corps Veteran Chris Turner, a singer/ songwriter from Ninety Six, South Carolina. Trailer Choir performs at Downtown @ Sundown this Friday. Strawberry Alley’s Street Fair will host vendors like The Dude with a Camera, Journey’s Eye Studio, Sacer & Savive, and ART Link, selling art and vintage items. Smackin’ Brats and Kona Ice will be vending on Main Street. 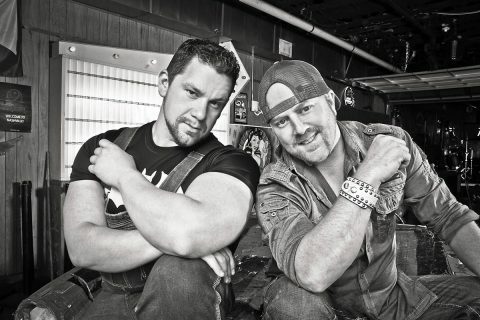 Openers start at 7:00pm and the featured artist takes the stage at 8:00pm. Come early, bring family, friends, chairs, and blankets. Please leave the coolers and pets at home. The street fair on Strawberry Alley begins at 6:00pm with local artists and excellent food. 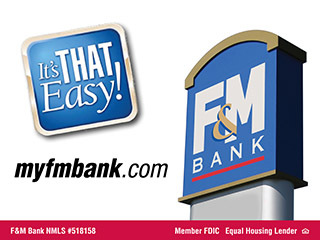 Beer, soda, and water sales are cash only. 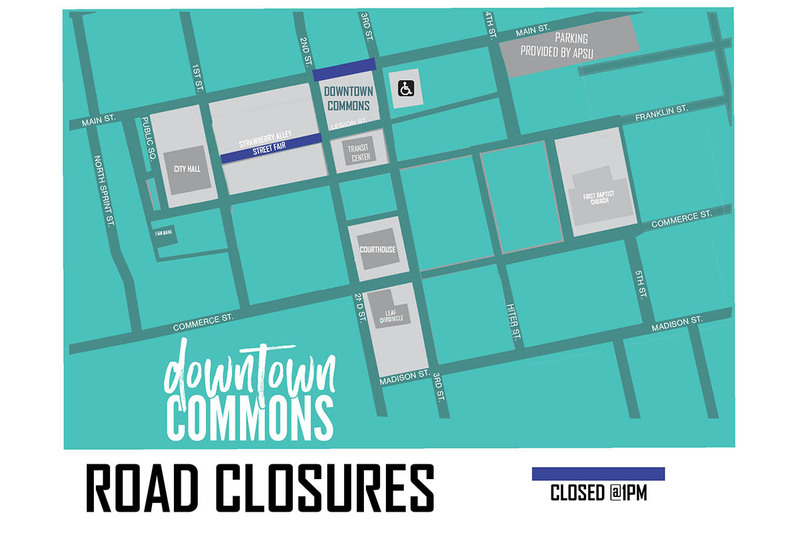 Street closers will begin at 1:00pm, Friday on Strawberry Alley and on Main Street from Second Street to Third Street. Downtown @ Sundown Concert Series & Street Fair will continue on the third Friday of the month through October. 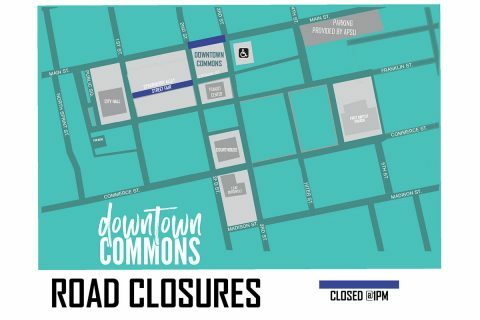 Be sure to visit the Downtown Commons’ Facebook and website to stay up to date on all events. 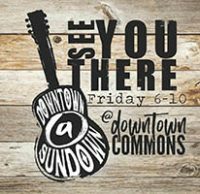 Downtown @ Sundown is presented by Budweiser of Clarksville and F&M Bank and sponsored in part by CPC Portable Systems, Farmers Insurance- The Wendy Danielle Stack Agency, Keystone Realty, The UPS Store, and Queen City Disposal.